Bayern romped to a record fourth consecutive Bundesliga title under Pep Guardiola in 2015/16, finishing the campaign ten points clear of second-placed Borussia Dortmund. However, it is now four seasons since the Bavarians lifted the UEFA Champions League trophy. 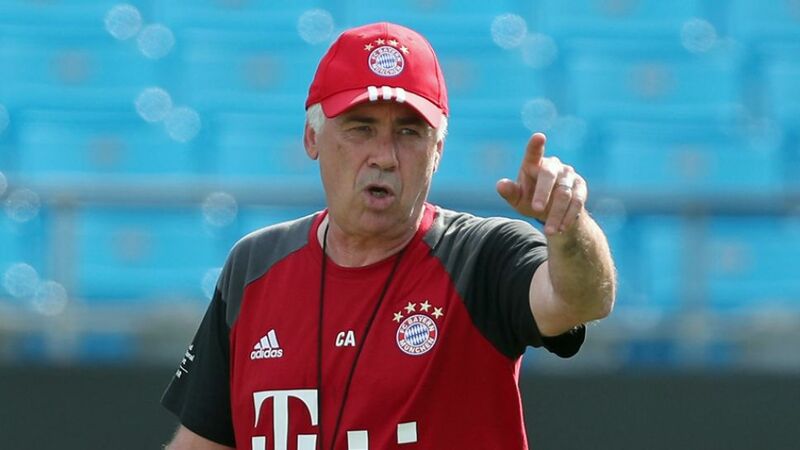 Guardiola has since left for Manchester City FC to be replaced by Carlo Ancelotti - a man who has conquered Europe on no fewer than five occasions as both player and coach. The question the Allianz Arena faithful will want answered in 2016/17, therefore, is whether their European 'drought' can be ended. Bayern's squad has been bolstered with the signing of former Dortmund captain Mats Hummels, who has evolved into one of the game's best centre-backs since originally leaving the club in 2008, as well as Renato Sanches, who arrives from SL Benfica having become the youngest ever winner of a UEFA EURO competition, with Portugal. Hummels - who first joined Bayern aged six - made only one first-team appearance before leaving for Dortmund eight years ago, initially on loan. A two-time Bundesliga champion and FIFA World Cup winner in the time since, the prospect of the 27-year-old recreating his national team central defensive partnership with Jerome Boateng is an intimidating one for attackers in the Bundesliga and beyond. Something of an unknown quantity before this summer's EURO 2016 competition in France, 18-year-old Sanches was named as Young Player of the Tournament after helping Portugal past the hosts to claim their first major international honour. A bustling midfielder with a wicked shot from range, the Lisbon-born talent will push for a starting berth despite his tender years. The Italian is the only coach to have won the Champions League three times and to have reached the final four times. A league champion at the helm of each of AC Milan, Chelsea FC, Paris Saint-Germain and Real Madrid CF, Ancelotti will begin the season as favourite to add a fifth country's league title to his collection. The 57-year-old, who was most recently living in Canada, has already begun to acquire the record Bundesliga champions' mother tongue, conducting parts of his first press conference in German. Robert Lewandowski was at his clinical best last season, plundering 30 Bundesliga goals to take the Torjägerkanone, five clear of his nearest challenger - Dortmund's Pierre-Emerick Aubameyang. Where Guardiola had an in-built distrust of natural number nines, Ancelotti tends to build his teams around them - see Zlatan Ibrahimovic at PSG or Karim Benzema at Real - and without the same pressure on his first-team place, expect to see the Poland captain at the top of the goalscoring charts once again in 2016/17. Bayern kicked off their campaign with a 2-0 victory over Dortmund in the Supercup on 14 August. They begin their Bundesliga title defence at home to SV Werder Bremen 12 days later. Their first big test of the season comes against FC Schalke 04 as early as Matchday 2, and they will renew their Klassiker rivalry with Dortmund on Matchday 11. The second-biggest stadium in Germany, Bayern sell out their 75,000 capacity state-of-the-art Allianz Arena every week. Little surprise, perhaps, for a club whose membership numbers at a world record 277,000.